This results in starch being released into the water causing everything to go sticky, slimy, or mushy. Are you seeing a pattern here? Starch is your enemy! I love curry, always have. However, I always used to be frustrated about the white rice; sometimes it came out well, sometimes it was mush. I could never work out why, as I always followed the packet instructions. Why was there so much variation in the end product?? After many years of trial and error, I hereby reveal the secret of perfect plain white rice. 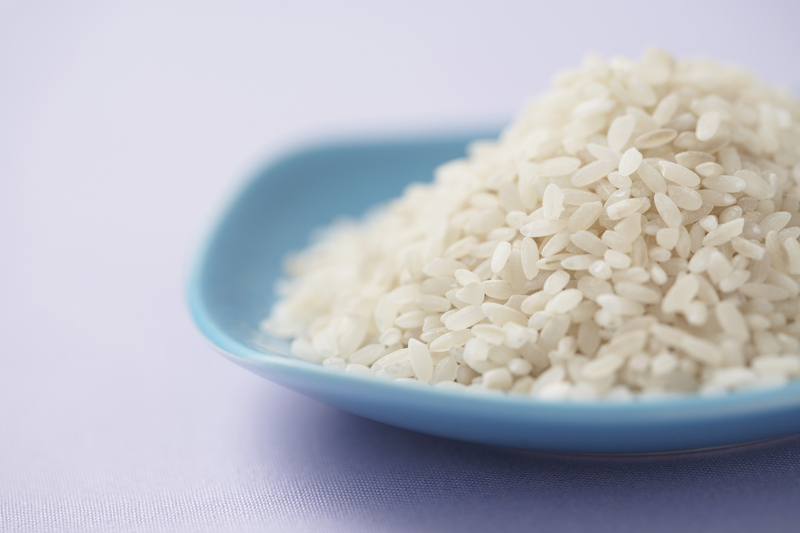 Soak and rinse the rice beforehand until the water is COMPLETELY clear. I cannot emphasise how crucial this step is. Make sure it is rinsed until the water is cleeeeeeear. The cloudiness is caused by starch. Starch is what makes rice go sticky, slimy, or mushy. You must get rid of all the starch. Put twice as much water as rice. So, one cup of rice means two cups of water. You don’t want too much water or the grains won’t be able to absorb it all — which means they’ll burst a bit, release starch, and everything will go sticky, slimy, or mushy. Do NOT stir the rice. Seriously. As you stir, you are causing small amounts of damage to the grains. This results in starch being released into the water causing everything to go sticky, slimy, or mushy. Are you seeing a pattern here? Starch is your enemy! Do NOT vigorously boil. As you boil, the grains of rice bobble about. This agitation causes, guess what… damage to the grains, which releases starch, which causes the undesirable, sticky, slimy, or mushy rice that we abhor. You want to put that rice on the lowest, smallest possible flame. In fact, you DON’T want to boil it at all. The best rice involves bringing the rice up to boil, putting a very tightly fitting lid on it. Then just turning the flame off! Do NOT open the rice or touch the pot. Just let it steam for 45 minutes. Use as big as pot as possible. Why? Because if you are steaming it and not stirring the rice, you don’t want the rice at the bottom to go mushy because it has no space. Therefore, if you are making rice for a lot of people, and/or your pot isn’t oversized, then carefully turn the rice over after 15, 30, and 45 minutes. If on a low flame, no problem; if steaming, then you will lose all the steam when you open the lid to turn the rice. Therefore, when the lid goes back on, put the flame on max for around thirty seconds to build up the heat, and thus steam, and then turn off again. Oh yeah, and don’t forget a teaspoon or thereabouts of salt. Whilst not strictly speaking necessary, I find it moderately helpful to wash and rinse the rice using the hot water tap.